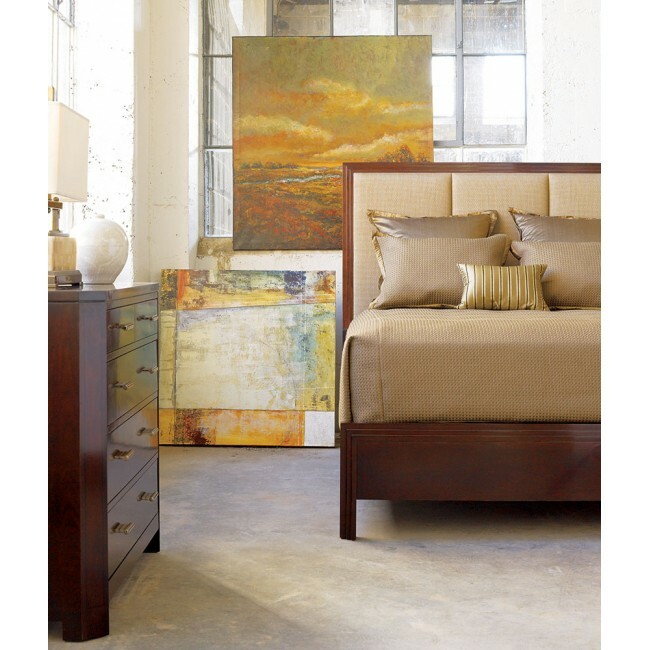 Three upholstered panels with your choice of fabric or leather create a modern statement piece for the bedroom. Distinctive stepped moulding on headboard and footboard. 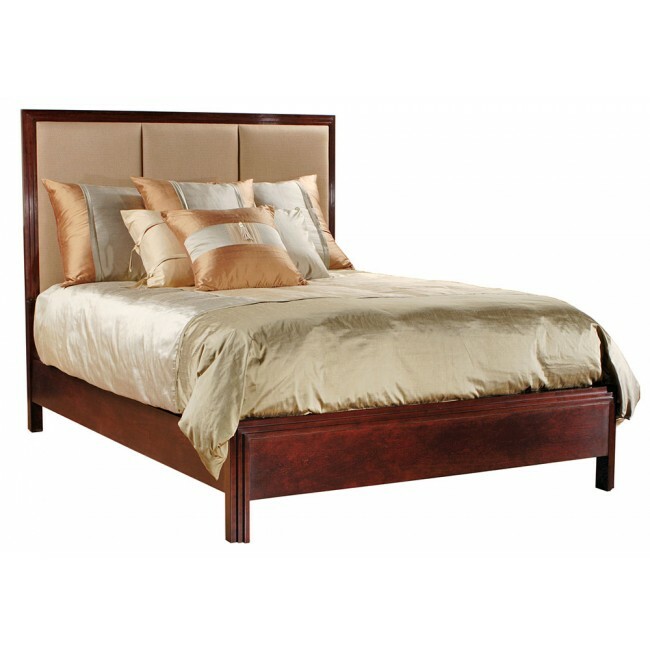 King bed has four panels. Solid cherry.